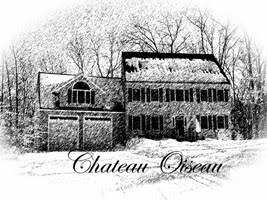 Chateau Oiseau: Finally the first vintage of Marquette is Bottled! 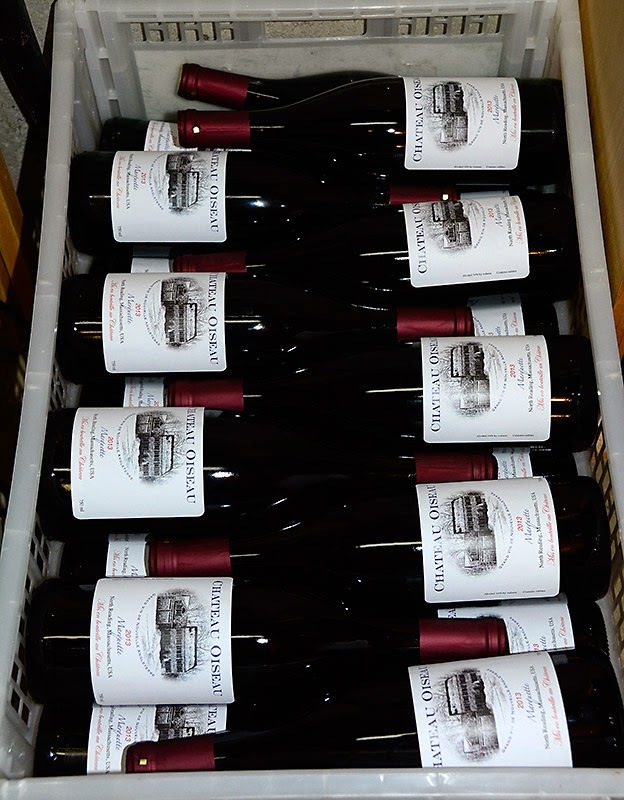 Finally the first vintage of Marquette is Bottled! It has been a long time coming! Five years since I planted my first Marquette vines. In spite of the very challenging conditions I've endured over the past five years (particularly 2012!) tonight I finally realized a dream--to bottle my own estate-grown wine. 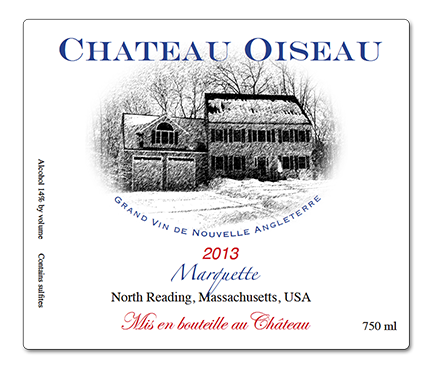 Here it is: the 2013 Chateau Oiseau Marquette! Is it the best wine I have made? No. Is it the worst? Far from it! But I'm proud of all 21 bottles! (Just over 4 gallons came from the vines last year). Fortunately, things are looking much better this year. The vines are about a week behind last year in terms of fruit maturity, but they are now netted, and this year I'm not taking any chances with those wily oiseaus, I have stapled the nets on the ends right to the posts. They are not getting in! Also, I have a larger crop this year due to more vines being mature. I'm hoping for a solid 200 pounds of fruit this year, enough for 12 gallons! But I will be delighted with 9 gallons--enough to fill my barrel and a little extra for topping. When the vines are fully mature, I might hit 300 pounds of fruit. I have discovered about 5 years too late that I should have done vertical shoot positioning, because Marquette really seems to want to grow upward rather than downward as they do on top-wire cordon trellising. So I am going to slowly start converting the vines over to a different trellis system, which will take probably another 3 years! In the meantime, I am working towards a great 2014 harvest in about a month!